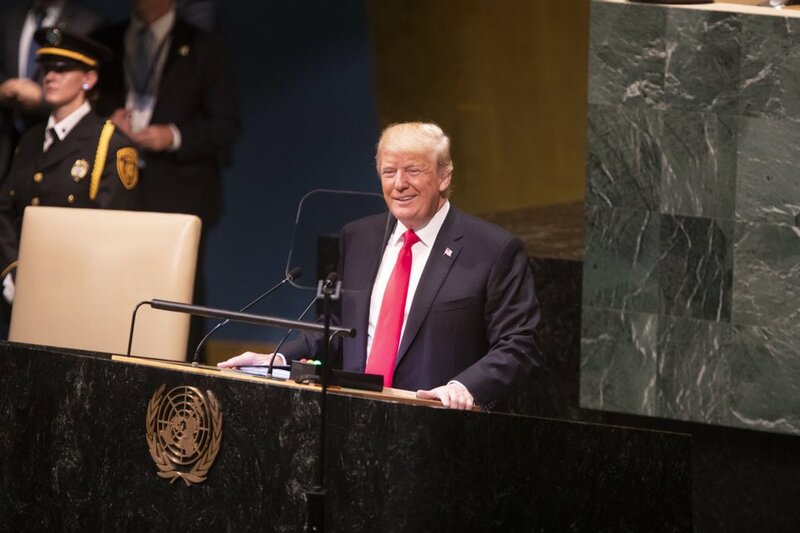 According to the news media’s reporting President Donald Trump has long been treated as unethical, now a new Gallup Poll confirms the American public agrees. According to a Gallup Poll released on Friday, May 25, 2018, only 37 percent of Americans believe Trump has “excellent” or “good” ethical standards with a larger number at 40 percent saying his standards are poor. Trump is the only president in modern history to have the public think so little of his ethics, but have a higher approval rating than the ethic rating. Only the scandal-filled presidency of Bill Clinton elicited such low ratings. According to Gallup’s poll, only 7 percent of Americans think Trump has excellent ethical standards, 30 percent say they are good, 19 percent say not good, while a majority 40 percent saying they are poor. 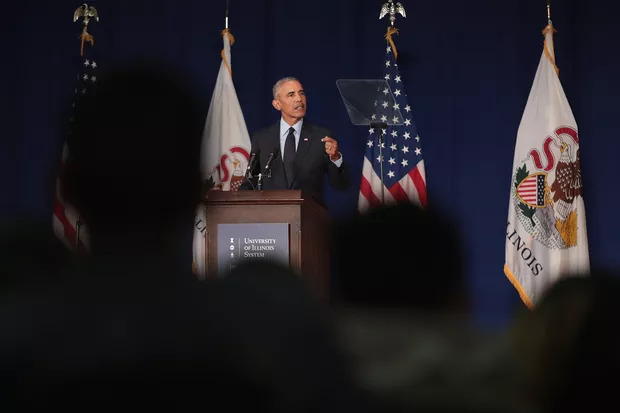 Only his predecessor President Barack Obama had a low rating in 2013, but not as low with 50 percent saying his ethical standard was “excellent” or “good” and with 32 percent saying, it was poor. The results show that that the public is increasingly questioning the ethical standards of their president. Trump’s presidency has been marred by scandal; first Russian interference in the presidential election and special counsel Robert Mueller’s probe into the matter. Trump repeatedly calls the probe a “witch hunt” which he wants to be concluded, but so far, there have been “five guilty pleas.” Then since January, Trump has been faced with mounting questions about his involvement with adult film star Stormy Daniels, his personal lawyer Daniel Cohen, paying her off and forcing her to sign a non-disclosure agreement a month before the election. The question remains whether Trump knew about it, considering he repaid Cohen. Neither has his cabinet behaved with pristine ethics. Trump has a frequent cabinet and staff turnovers, especially in the last six months. EPA administrator Scott Pruitt and Former Health and Human Services Secretary Tom Price and former Veterans Affairs Secretary David Shulkin misused government funds, spending too lavishly, however, Pruitt remains in the administration. The recent nominee for Veterans Affairs Secretary former White House doctor Ronny Jackson was forced to withdraw over a question regarding his prescribing medications. Trump has continued support for both Pruitt and Jackson, emphasized his presidency’s questionable ethics. However, Trump did fire his National Security Advisor Michael Flynn, who plead guilty to lying to the FBI, a felony charge stemming from Mueller’s probe. Unlike Trump’s predecessors, who had higher ethics rating than approval ratings, Trump has a higher job approval rating. According to Gallup, President Trump’s approval rating is 44 percent compared to his 37 percent ethic rating. The only other exception was Clinton in January 1994, when his approval rating was 54 percent, but his ethics rating was 43 percent, the closest to Trump’s. Obama in 2013 had a 27 percent approval rating, but a 50 percent ethics rating. Gallup asked the ethics questions three times in George W. Bush’s presidency from 2002 to 2005, and during that time, his approval rating fell, but his ethics rating remained higher. In 2002, Bush’s approval rating was 69 percent, while his ethics rating was 74 the highest in history, in October 2005 it was 49 to 55 percent. Bush’s polling was the rare exception, with Gallup asking the ethics question in his second term. The question was asked at bookends, in 2002 after his response to the 9/11 terrorist attacks, where he had the highest approval rating in modern history, and in October 2005, just after his mismanaged response to Hurricane Katrina, and flooding in New Orleans that killed 971. Gallup asks this question very few times during a presidency, often earlier in the first term and not while scandals have consumed a presidency mostly in a second term. Trump’s presidency is an exception, where he was elected amid scandal and questions about Russian interference. The only other recent presidency that has commenced with scandal was Clinton’s, and by the first poll, Clinton had allowed a special prosecutor to investigate the “Whitewater real estate controversy.” The prosecutor ended up being Kenn Starr, the author of the Starr Report used as the basis of Clinton’s impeachment. Only two of the presidents were mired in scandals during their terms. Ronald Reagan managed to escape unscathed from Iran Contra in 1986. Then Clinton whose scandals with women included accusations of sexual harassment, the Whitewater investigation, and the finally the Monica Lewinsky scandal that led to his impeachment and near ouster in 1998. Gallup, however, did not ask the ethic question at the darkest points of the Reagan or Clinton presidencies. Not asking the ethics questions every year in a presidency at least makes the poll and rating flawed and misrepresenting history and difficult to make comparisons. Either way, Trump’s scandal-filled and mismanaged presidency has definitely affected the public’s view of his ethics, if not the way he performs his duties. Bonnie K. Goodman BA, MLIS (McGill University), is a journalist, librarian, historian & editor. She is a former Features Editor at the History News Network & reporter at Examiner.com where she covered politics, universities, religion, and news. She has over a dozen years experience in education & political journalism.